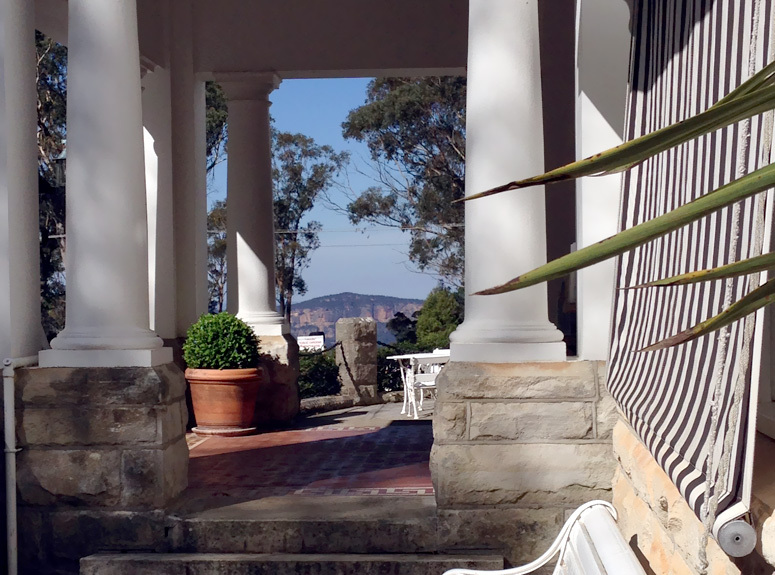 Your visit to Leuralla allows you to explore one of the oldest Blue Mountains' heritage listed homes set within 12 acres of temperate gardens. 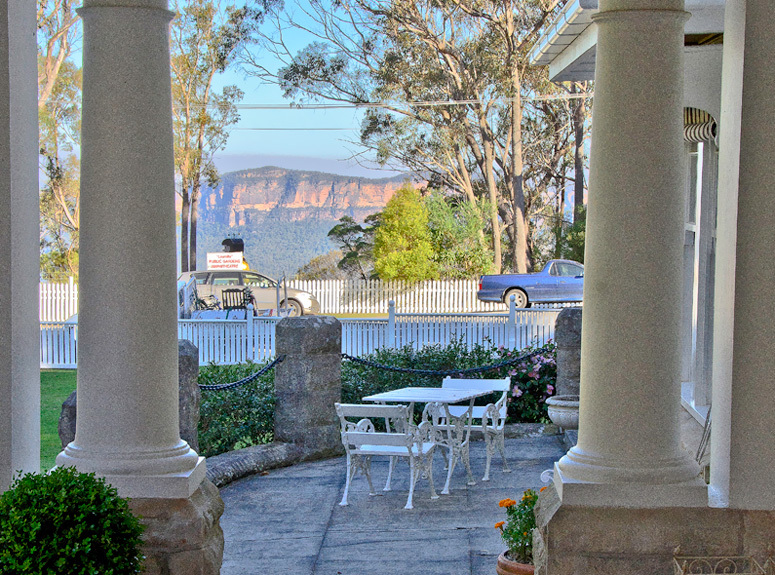 The historic home was completed just prior to World War I and is located in Leura, the garden heartland of the Blue Mountains, a World Heritage Site and a City within a National Park. 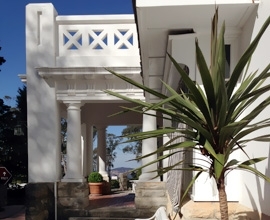 It is the second home on the site. 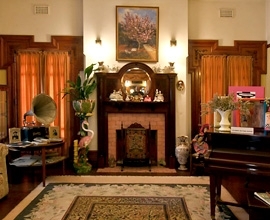 The first, which was lost in the bushfires of 1909 (note the photograph on the wall above the fireplace in the dining room), was in the New England style of architecture. 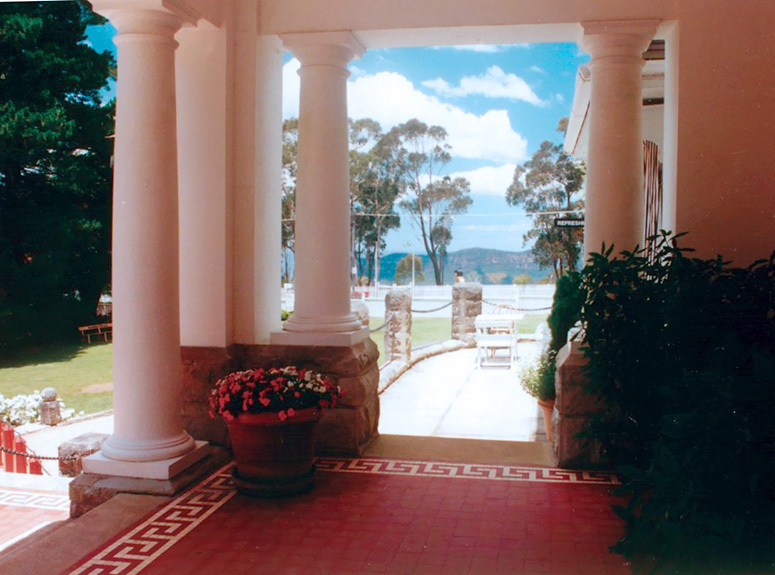 The design of the home was influenced by the world famous American architect of the day Frank Lloyd Wright. 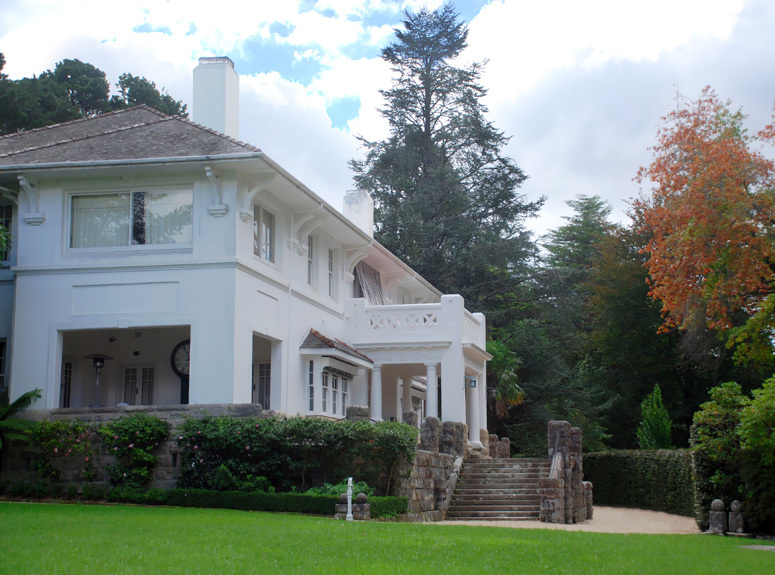 The home is Heritage listed and is displayed in its original state, including original paint finishes, furnishings, fixtures and fittings (note light switches and door furniture). The original decorative finishes are evident and you will note all woodwork and carvings are French Polished. French polish is made from the wings of a Brazilian beetle dissolved in methylated spirits and applied with a daub pad. This process is repeated and polished to a fine finish. The home was built by local, skilled trades people who took great pride in their workmanship. All of the construction was carried out by hand. The timber work took two years to complete as the home was built in a pre-electric tool era and includes the wood panelling, sideboards, cabinets and even the dining room table and tulip motif chairs. 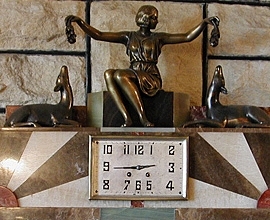 The house was considered absolutely modern for its time and has a central vacuum cleaning system as well as an intercom system (note the hand set at the top of the stairs). In addition there is a room-by-room bell system to allow all rooms in the home to communicate with the kitchen (as seen in the BBC production The Edwardian House). The central panel for the bell system is located in the kitchen. It allowed the family or guests to call the household staff from any room within the home, be it for a hot cup of cocoa or cup of tea in the bedroom, possibly more coffee in the dining room, or maybe something stronger in the billiard room! To identify the central vacuum system, look for the silver discs on the floor to the right of the room heater when you enter the billiard room. Electricity was an early installation in the construction of the home (note the Edison electricity information sign on the wall in the Billiard Room). The home played host to the Royal Visit in February 1954 of Her Majesty Queen Elizabeth II and HRH the Duke of Edinburgh (note photographic record on the wall in the foyer), during which time Mr C.R. 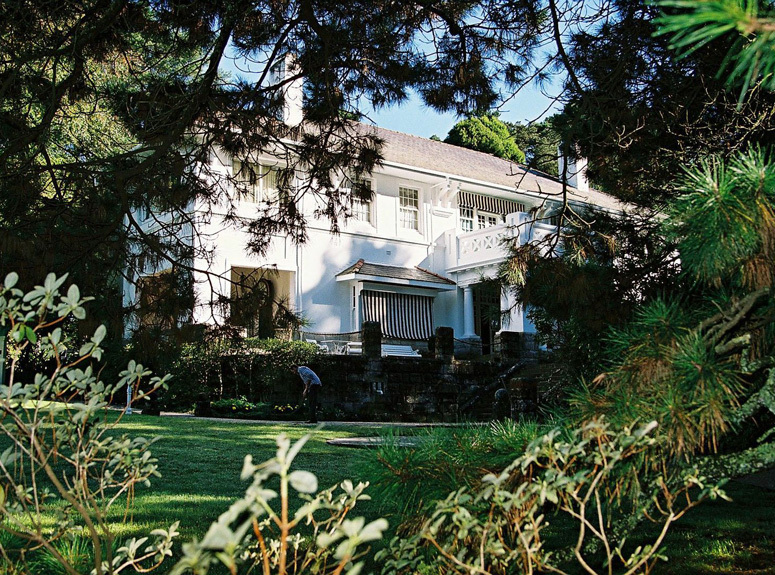 Evatt, the then owner of the home, was a State Cabinet Minister of the Government of the day. It is interesting to note that during the Royal Visit there was some concern in regard to the reliability of the echo over Echo Point. To safeguard this, a number of people were placed at strategic points in the valley, just in case the natural echo failed and had to be returned. 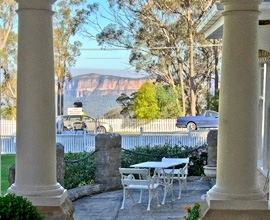 During the actual event they were not needed as the famous echo at Echo Point never fails. 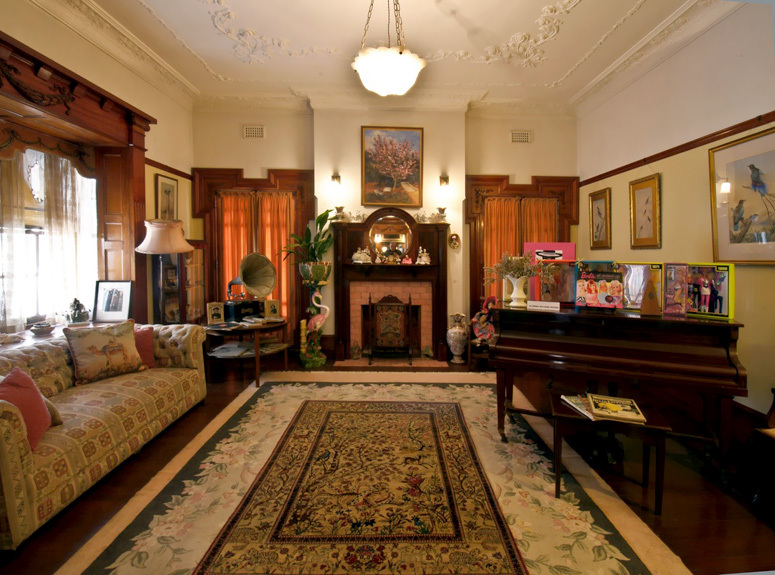 The integrity of the decor of the music room is noteworthy as roses are the main feature of this room. Please note the rose patterned ceiling, the rose patterned blinds and rugs, along with the rosewood stained timber work and, to top it all off, the piano is a Bechstein Salon Grand 1912 also in rosewood finish. 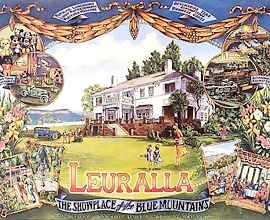 Leuralla has been featured as a location for movies. A couple of the more recent productions are Undercover and Edens Lost. 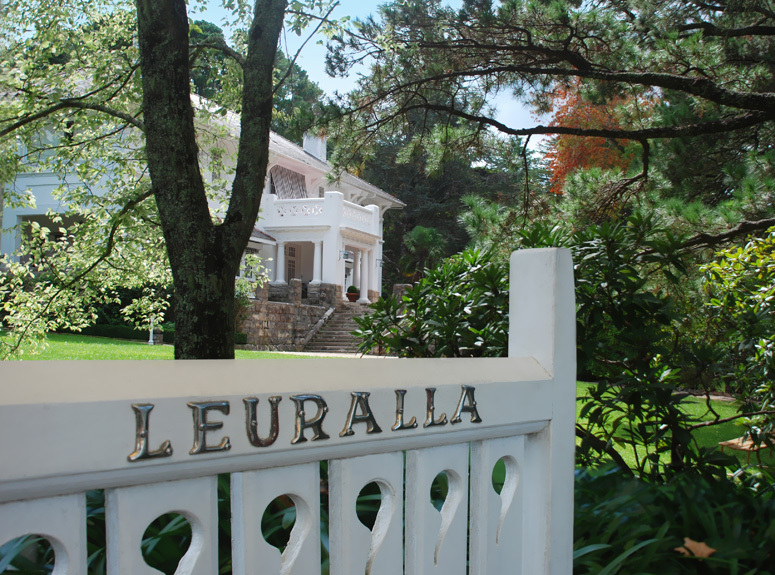 Leuralla has also featured on television, in Burke's Backyard / Good Weekend and in various children's segments. 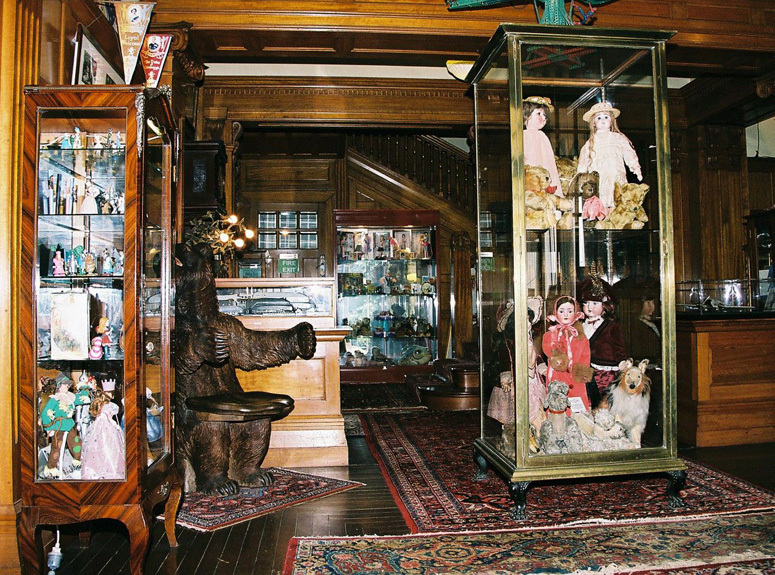 Contained within the home is the largest and most important Toy, Doll and Model Train collection in the Southern Hemisphere. This collection is rated as one of the most important in the world and spans the early 1900s to the current day - with emphasis on the period from 1910 to 1960.